An active campus life provides educational opportunities outside of the classroom at California State University, Fullerton. Students can take full advantage of the many activities, programs and seminars offered as part of a well-developed co-curriculum on campus. Students not only attend events but also participate in the planning and implementation of a full slate of activities held throughout the year. The Dean of Students Office creates learning environments in which students may explore their intellectual, emotional, social, ethical and identity development with the support of professional staff resources. Students are empowered to embrace all of the learning opportunities at the university as they become responsible community members through program planning, leadership opportunities, and development and enforcement of community standards. Students are challenged and also supported as they participate and learn. Programs and support services are provided to student organizations, student leaders, new students, and other members of the campus. In turn, students then provide programs and services to the student body, the broader CSUF community, and the local area through community service and serving-learning activities. We want students to graduate having developed character, civility towards others, sensitivity to community needs, and an improved ability to contribute to society as a result of their participation. The Deans of Students Office is also a key point of contact for students with concerns, parents with questions and community members. Greek Life refers to the fraternity and sorority community of the campus. The terms ‘fraternity’ and ‘sorority’ describe groups of men and women who join together to offer fellowship, academic support, leadership training, participation in campus activities and service to the community. These organizations are referred to as Greek chapters because they use the Greek alphabet to represent a motto and a set of virtues. Greek Life has a strong, rich tradition at CSUF. It represents the largest student community on campus and provides invaluable college experience. Students can join one of the four student-run councils: Interfraternity Council (IFC), Multicultural Greek Council (MCGC), National Pan-Hellenic Council (NPHC) and Panhellenic Council (PHC). The Multicultural Leadership Center seeks to create learning environments that actively engage the campus community with in- and out-of-classroom experiences through the education and celebration of diversity, multiculturalism and social justice. The center provides services through three primary areas: (1) resources, including a library and student organization advisement; (2) programming, including cultural welcomes and graduation celebrations; and (3) leadership and diversity training including EMBRACE, cultural leadership institutes and SafeSpace. The Student Leadership Institute (SLI) is a free, non-credit certificate track program dedicated to helping Cal State Fullerton, Santa Ana College and Santiago Canyon College students become prominent and well-prepared leaders in their community. SLI will complement a student’s education by teaching them skills and providing them with the knowledge necessary for effective leadership. The Student Leadership Institute offers seven certificate programs: Career Leadership, Emerging Leaders, EMBRACE, Leadership through Social Justice Activism, Organizational Leadership, Peer Tutoring, and Public Service and Non-Profit Leadership. The Student Information and Referral Center (SIRC) is a place where new and continuing students can get questions answered and learn about on-campus services and programs designed to help them be successful at Cal State Fullerton. SIRC provides general campus and referral information, as well as assistance with the orientation and campus tour reservation process. In addition, SIRC is the home of New Student Programs, which assists new students and their family members in making a successful transition to the university. SIRC is open Monday through Thursday 8 a.m. to 7 p.m. and Friday 8 a.m. to 5 p.m.
All first-time freshmen are required to attend New Student Orientation, in order to fulfill their mandatory academic advisement requirement. All transfer students are required to complete an overview of university requirements via Transfer Students Orientation or an online tutorial. Visit www.fullerton.edu/orientation for more information. Orientation provides first-time freshmen, new transfer students, and family members with an introduction to the opportunities for learning at CSUF both in and out of the classroom. A strong emphasis is placed on general education and major advisement as well as registering for courses (freshmen only). The programs also provide a place to meet people, and obtain an overview of the services and resources at CSUF. Titan Weeks of Welcome are an opportunity to join with others in the CSUF community to welcome new students and kick off the new academic term. Titan Weeks of Welcome are held during the first two weeks of the fall and spring semesters. Events and programs offered during Titan WOW range from information stations to Discoverfest, an activities and involvement fair held in the Quad. Visit www.fullerton.edu/titanwow for details. Visit www.fullerton.edu/tours to schedule a tour of the campus. Tours are offered Monday, Wednesday and Friday at 10 a.m. as well as Tuesday, Thursday and Friday at 3 p.m. Group tours for 15 or more people should be scheduled by calling 657-278-2501 a minimum of two weeks in advance of the desired tour date and time. All tours last 60 to 90 minutes. The Visitor Information Center offers students, faculty and guests information about campus events and services, directions and campus hours. Visitors can also pick up information regarding admissions, on-campus housing, parking, and general information about the various services on campus. Ask the Titans is an information service designed to answer any question from a student, faculty member, staff member or guest. Visit www.fullerton.edu/ask for details. Your question will be answered within 72 hours. Staff members in New Student Programs work closely with Academic Affairs to facilitate a variety of freshman learning communities such as Fullerton First Year, Live ’n’ Learn, COMPASS and more, all designed to assist first-year students in making the transition to college as productively as possible. The Student Organization Resource Center provides information about club meeting times, dates and locations. Categories of clubs include academic, honor, cultural, professional, religious and recreational. Academic and professional organizations are either closely affiliated with academic areas at Cal State Fullerton and/or have national professional affiliation. Students who want to meet and get to know others who are interested in similar types of co-curricular activities can join one of the 210 active student clubs and organizations on campus. These groups offer students a chance to network with faculty and community members who have similar career interests. 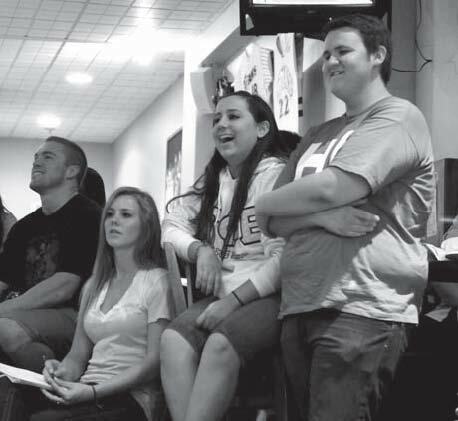 The Student Organization Resource Center also provides training programs and services to student leaders and faculty and staff advisers responsible for coordinating student organizations. Services include organization registration, mailboxes, room reservations, and event planning advice and resources. The Volunteer and Service Center connects students with volunteer opportunities. The center provides quality service to the surrounding community while broadening the knowledge and experience of the servers as responsible and active members in a democratic society. The Volunteer and Service Center provides a wide range of community service projects that are student-run and dedicated to issues such as tutoring and mentoring, environmentalism, hunger and homelessness and social justice. Additionally, students can use the center to fulfill service-learning requirements. Community service programs provide a variety of experiences, including volunteer work, internships, academic credit projects, and some compensated experiences. The center will help place students in both on-campus and off-campus agencies. Associated Students, CSUF, Inc. (ASI) is a campus involvement connection at Cal State Fullerton. ASI offers a variety of learning experiences through its government, programs and services. Many campus special events are the product of student efforts to bring students new educational opportunities, teach them about the campus, and provide a friendly, social atmosphere at CSUF. ASI is a non-profit corporation supported by the activity fee students pay through registration each semester. By paying this fee, students are automatically a member of ASI. The purpose of the corporation is to provide academic and co-curricular programs and services for students. When students are involved in ASI, they are a part of an energetic, productive group learning valuable organization and communication skills that can augment their personal and professional growth. Find out more at www.asi.fullerton.edu. The ASI government controls the actions of the corporation; it is a powerful, active organization that has a need for students with all types of talents and skills. To apply for a position or find out more about student government, visit the ASI executive staff office in the Titan Student Union. The ASI president and executive vice president are chosen through student elections each spring and lead the corporation. These officers represent students’ needs and interests to CSUF’s faculty and administration, and to the surrounding community, and participate in several university committees. Along with the executive staff, the president and executive vice president submit recommendations to the ASI Board of Directors on the corporation’s annual budget of more than $4.3 million. The executive staff works with the president and executive vice president to direct the programs and operation of the corporation. All executive staff members are appointed by the ASI president. Students may apply for these positions in the ASI government office. The ASI vice president for finance coordinates the budget process. The chief administrative officer recruits students for presidential appointments and implements special projects. The chief governmental officer is the CSUF representative to the California State Student Association. This statewide organization influences decisions about education, fee schedules and related topics. The chief communications officer is responsible for marketing the corporation and communicating with the campus community. Student volunteers are assigned specific duties according to the needs of the corporation. The ASI Board of Directors is composed of two representatives from each college who are elected to serve one-year terms. The ASI president, executive vice president, executive staff members, executive director, one faculty council representative, and one appointee of the university president also sit on the board. Directors sit on various board subcommittees and other university committees. These directors represent the student body and work with the executive staff to implement programs that fulfill students’ academic and co-curricular needs. They deal with issues regarding the business and affairs of the corporation, including approving budgets and appointments, authorizing business contracts, and issuing policy statements for administrative purposes. The weekly meetings of the ASI Board of Directors are held in the Legislative Chambers in the Titan Student Union. All students are welcome to attend. Board seats are open to all qualifying students. Election applications are available at the midpoint of each semester in the ASI executive staff office in the Titan Student Union. ASI Productions provides the university community with a variety of entertainment events through its major weekly series: Monday Noontime Karaoke in the Pub, Tuesday Noontime Open Mic in the Pub, Wednesday Noontime Concerts in Becker Amphitheater, Thursday Pub Shows in the Titan Student Union’s Underground and Thursday Night Movies at Titan Theater in the Titan Student Union. Musical acts in the Amphitheater and the Pub encompass a range of genres including rock, ska, jazz, pop, Latin/salsa and country. Films shown include both recent releases, as well as classics. Additionally, ASI Productions Union and Special Programming programs a variety of smaller eclectic acts and larger participatory events on campus. The series are free to all Cal State Fullerton community members. If you are interested in finding out more about ASI Productions or becoming a part of the ASI Productions staff, please contact the administrative director at 657-278-3501. AICA exists to enhance the university experience of Cal State Fullerton students by raising the awareness of and by celebrating the multicultural student population of Cal State Fullerton. Member organizations desire to promote understanding, tolerance and celebration of these many cultures. As a program of Associated Students, CSUF, Inc., AICA is responsible for the channeling of ASI funds to member organizations to provide the campus with multicultural programming. As a programming body, AICA sponsors the yearly AICA week to increase dialogue and discussion about cultural issues on campus. For more information about AICA or to inquire about membership, please contact the chair at 657-278-2914. Founded in 1969 as the philanthropy of Cal State Fullerton students, Camp Titan provides 150 underprivileged Orange County children with a free summer camp experience each June. The tradition continues with 50 Cal State Fullerton students volunteering over 220 hours of their time to make the camp possible by serving as program staff and counselors. The goal of the camp is to teach children to raise self-esteem, heighten social skills and confidence, build a respect for nature and develop new friendships. The camp is sponsored and managed by Associated Students, CSUF, Inc. For more information or to become part of Camp Titan, please contact the camp director at 657-278-3036. Titan Tusk Force is a program that promotes Titan Pride through a variety of programs and events throughout the year. From hosting fun-filled carnival and spirit week events to tailgates and pep rallies before athletic rivalry games, Titan Tusk Force encourages students to become active, spirited and proud participants in their university community. The Titan Rewards Program, a program sponsored by Titan Tusk Force, rewards students for attending campus and CSUF athletic events with emblematic CSUF paraphernalia. Students can attend all Titan Tusk Force and CSUF Athletic events for free and can also take an active role by getting involved with Titan Tusk Force. For more information about Titan Tusk Force events or how to get involved, contact the director at 657-278-2542. The Inter-Club Councils serve as a funding council for student organizations connected to academic programs and majors. Inter-Club Councils are responsible for the channeling of ASI funds to member organizations to provide the campus with a variety of co-curricular activities including speakers, symposia, publications and the like. For more information, contact the assistant dean of the respective college. The Children’s Center is sponsored and funded by Associated Students, CSUF, Inc. For a nominal fee, children aged 3 months through 5 years whose parents are CSUF students, staff or faculty members can benefit from the services of the center. Trained preschool teachers offer a comprehensive curriculum that covers learning skills in several areas of education. Associated Students, CSUF, Inc. contracts with the College Legal Clinic, a Fullerton-based corporation, to provide information on legal procedures and initial consultation on all types of legal matters. If desired, students are referred to Orange County attorneys for reduced fee services. A 24-hour hot line is maintained by the College Legal Clinic. The Titan Student Union is located on the northwest corner of campus and provides areas for club and organizational meetings, recreation, relaxation, food service and study. Each semester a portion of student fees helps support the services available. The Titan Student Union Governing Board establishes operating policies for the Titan Student Union and the Student Recreation Center. Board members include students, faculty, an alumni representative, administrative representatives and an appointee of the university president. Additionally, the board also evaluates the programs and services of the Titan Student Union and the Student Recreation Center. Board members are involved in several committees. Among them are: the Food Services Committee, Policy Committee, Space Allocation Committee, Art Acquisition Committee, and the Titan Recreation Committee. Any student may apply for a board position. TSU Information and Services has the answer to most questions about CSUF. It’s the place to purchase tickets for area theme parks, campus events and local movie theaters; receive vending machine refunds; retrieve lost belongings from “lost and found”; and obtain general campus information. This office provides meeting/event facilities and related services in the Titan Student Union for student groups, faculty/staff groups, and for the surrounding community. While specific room rental rates vary, some facilities are frequently available at no charge to CSUF-chartered student organizations. The Becker Amphitheatre was built by Associated Students, CSUF, Inc. in conjunction with the Titan Student Union. The amphitheatre, located just southeast of the Titan Student Union, is used for noontime concerts, theatre productions and other live entertainment. The Center Gallery offers displays of student, graduate and faculty artwork. Exhibits usually feature the work of a single artist and are shown for three weeks. All exhibits are chosen by a student art gallery coordinator. Titan Student Union Graphic Services develops quality flyers, brochures, logos, letterheads and posters. Services include illustration, layout design, paste-up and desktop publishing. Aside from the study lounges, this is one of the most popular services offered by the Titan Student Union. Here, students can use personal computers to give their assignments that professional look. The area also features soft chairs, bright lights for reading, and a counter full of magazines. The Mainframe Lounge has a wide selection of the latest music CDs including rock, alternative, jazz, classical and country-western music. Headsets are available for personal listening. The Pub’s congenial atmosphere offers a place to relax and sells soft drinks, beer and wine, and Round Table Pizza. Major sporting events are shown on the Pub’s televisions, and music is played continuously. The Pub is located on the Titan Student Union’s lower level. The Food Court is located on the main level of the Titan Student Union and features a variety of food offerings including national and regional chains such as Togo’s, Green Burrito and Juice It Up! Visitors also enjoy fast, healthy and diverse food selections from Mexican to Asian, and sandwiches to grill selections. The Garden Cafe is located on the lower plaza of the Titan Student Union and offers a unique cafe menu in a pleasant outdoor garden setting. It’s mostly fun ’n’ games on the lower level of the Titan Student Union. This recreation area offers a place for diversions that include a lounge with large screen televisions, a billiard room, video and pinball games, locker rentals, small table games and the Titan Bowl. The CSUF community is invited to participate in the various bowling leagues and tournaments sponsored each semester. The Titan Theatre and Pavilion are available to clubs and organizations for meetings, conference lectures, and other presentations. It can be reserved through the University Conference Center office. Believing that recreation and leisure pursuits are an integral part of one’s total educational experience and achievement, Titan Recreation, a program of the Titan Student Union, strives to provide all students with an opportunity to use their leisure time wisely in order to attain the highest degree of physical reward and mental relaxation. The benefits of the recreation program are numerous, and it has been proven time and again, that those who maintain good health and physical fitness perform better in all aspects of life. The CSUF Student Recreation Center is a comprehensive fitness, recreation, education and social facility. The 95,000-square-foot center features state-of-the-art fitness equipment, indoor gyms, multimedia cardio room, indoor track, rock wall, an outdoor pool and more. The center’s program is organized to serve individual and group fitness training; non-credit group exercise classes; campus intramural sports programs; and otherwise promote and encourage students to take part in healthy leisure time activities. The Intramural Sports Program is a student-funded, recreational-based program of competitive leagues and tournaments. The program is accessible to all CSUF students, faculty and staff. Activities such as flag football, ultimate Frisbee, basketball, softball, and volleyball are scheduled at various times and days to accommodate individual schedules. Titan Recreation offers a wide variety of instructional classes. Instructional class categories include: dance, music and fitness, martial arts, first aid and CPR, rock climbing and more. Call 657-278-PLAY to register in advance.